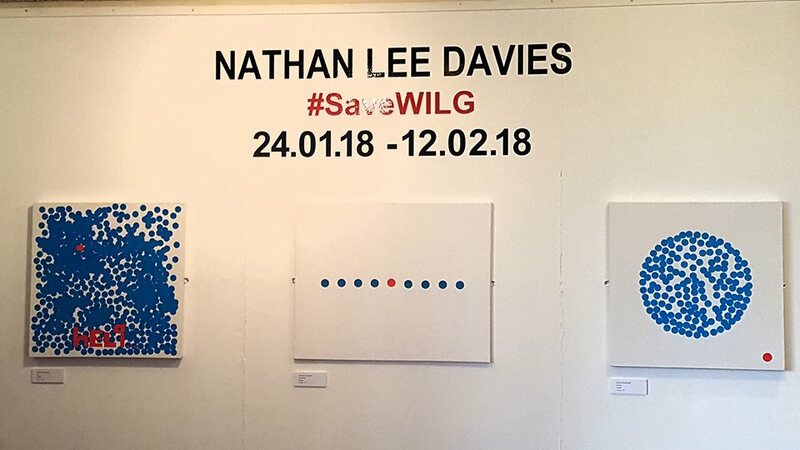 The #SaveWILG art exhibition took place at Theatr Clwyd in Mold between January 24th and February 12th. 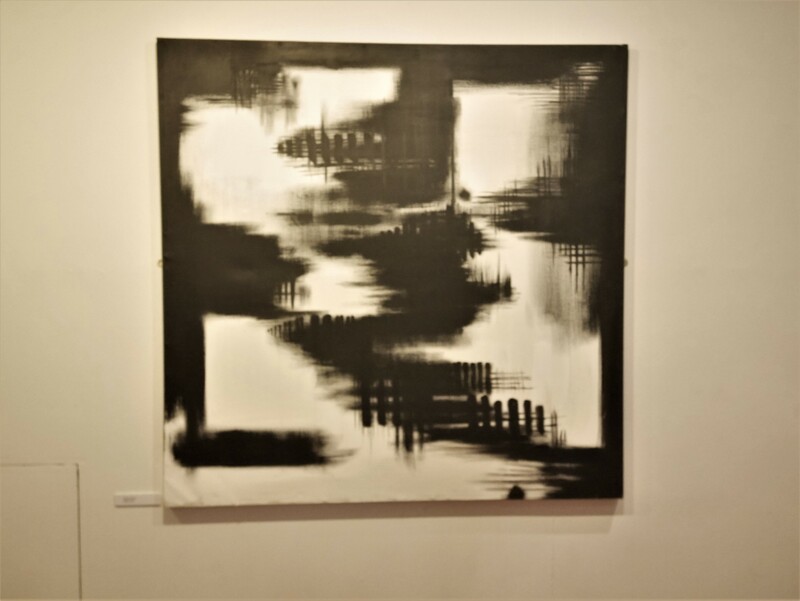 I have included photographs of the art below although these pictures do not give the overall effect of the exhibition, as the Gallery space we were provided with includes large windows which caused sunlight to reflect on the framed artwork. This made capturing perfect photos very difficult. I also include a YouTube video that illustrates the wealth of support that we received for our postcard campaign. 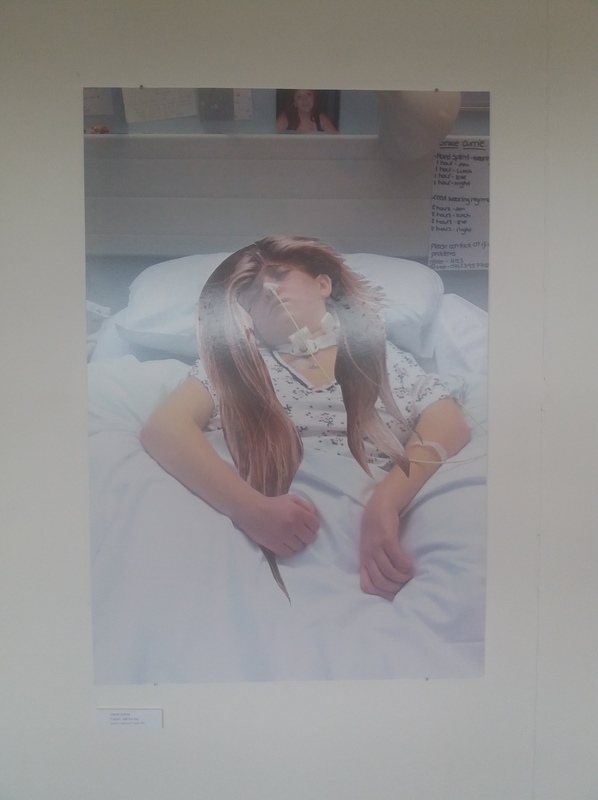 This was shown on a large screen in the Gallery. 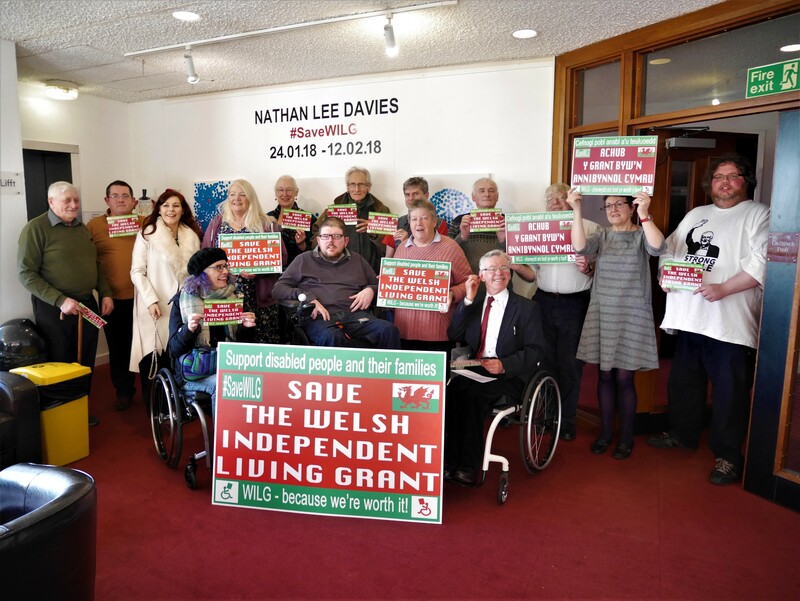 Following a conversation with Ted Eames, I have approached Lesley Griffiths, AM for Wrexham, to ask if she could arrange for the exhibition to be shown in the Senedd. She agreed in principle and I hope we can come to some arrangement quickly as time is of the essence. 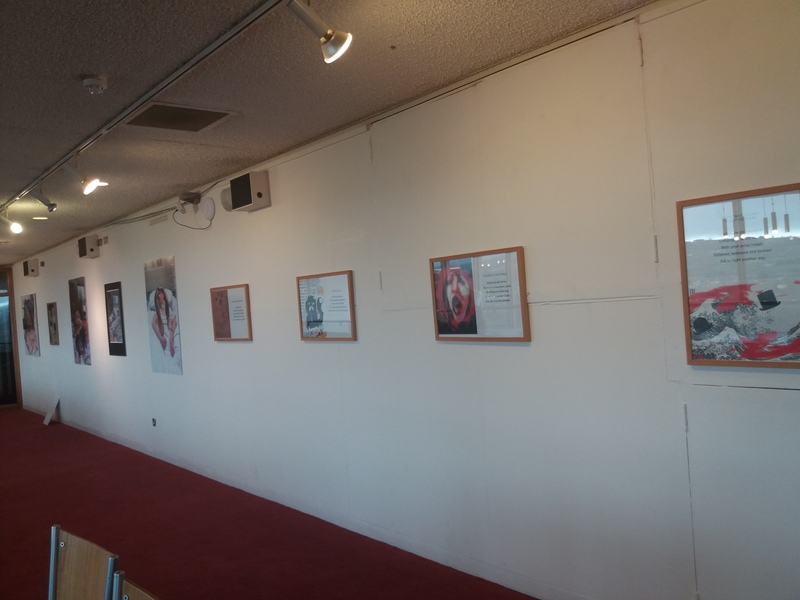 Overall, the exhibition at Theatr Clwyd was a great success. 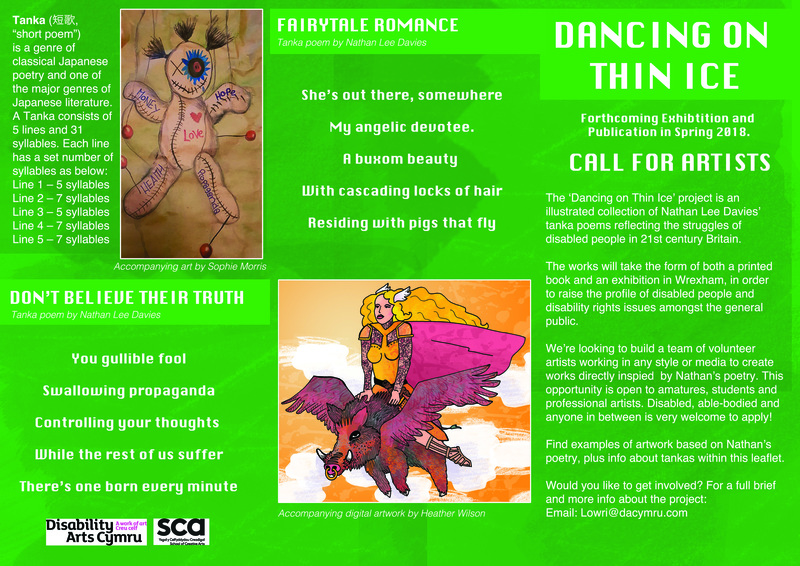 Thanks are due to Disability Arts Cymru – especially Lowri-Mair Owen – Theatr Clwyd and everyone who visited the show. In particular, I want to thank Julie Rogers-Owen and Heather Wilson for their outstanding contributions in helping me create such a production. 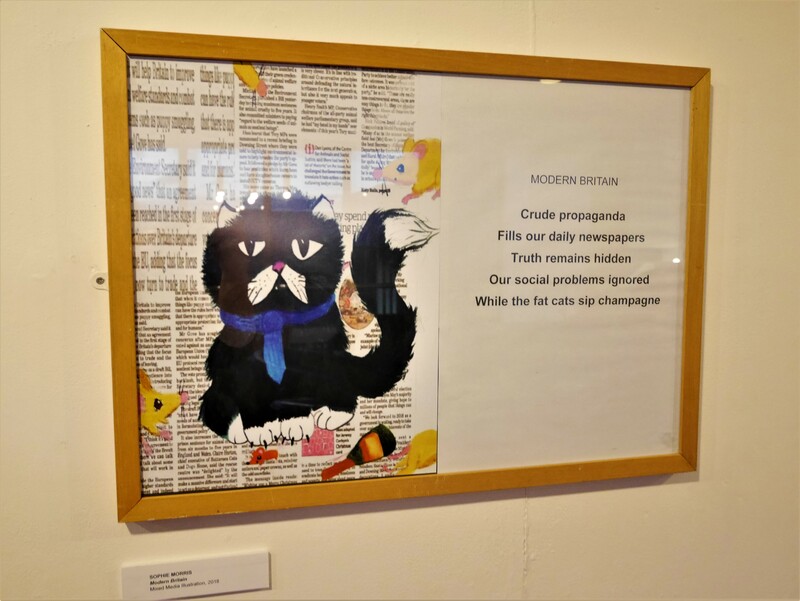 The input of David Nulty, Amy Lockhurst, Sophie Morris, Ted Eames, Grace Currie, Sophia Leadill and Georgina Gittins was also crucial to the success of this project. 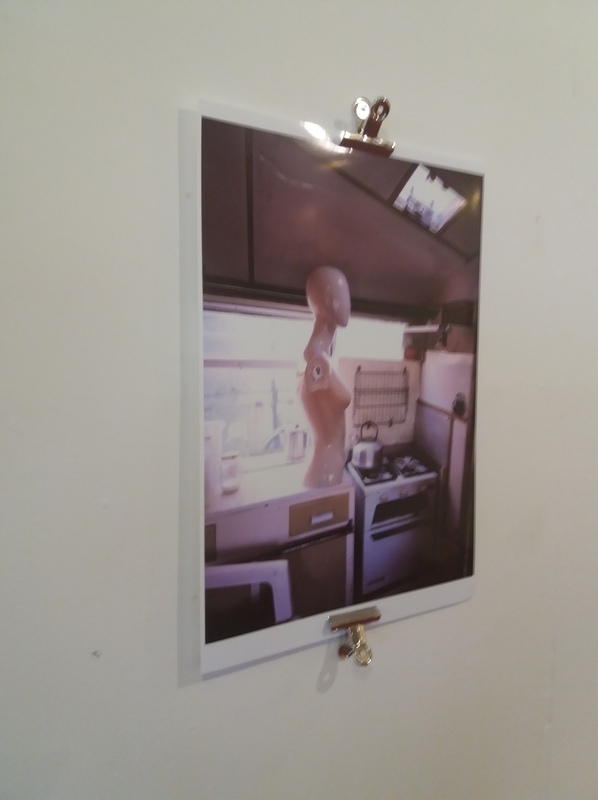 Obviously these photographs do not do our exhibition any credit at all, but I have included them to give you a taste of what we have achieved. 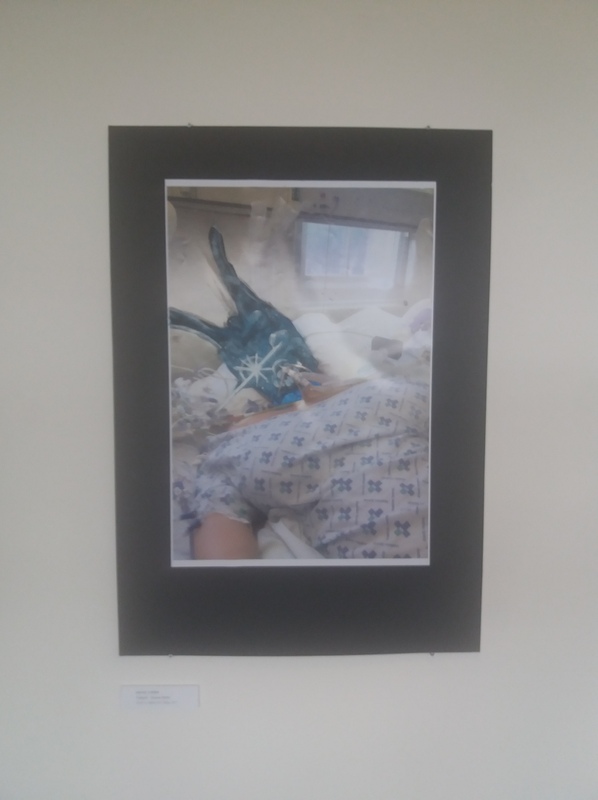 I am very proud of the exhibition and hope we can show it to all Assembly Members in the Senedd to help educate and inform them about the importance of maintaining WILG in the first place, before establishing a fairer system that will enable all disabled people to benefit from the right to independent living. 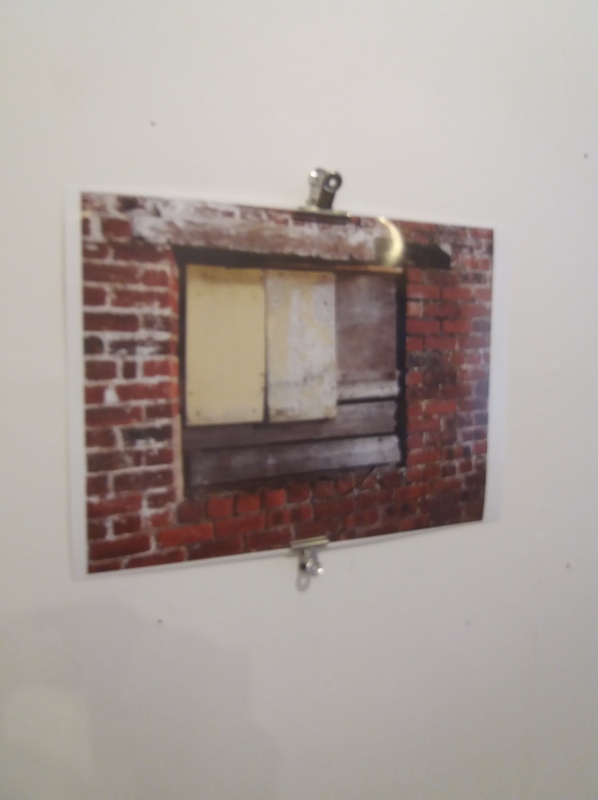 I have not added the artist names alongside these photographs as I would encourage you to try to attend this exhibition wherever it may appear next to get a full flavour of what has been achieved. 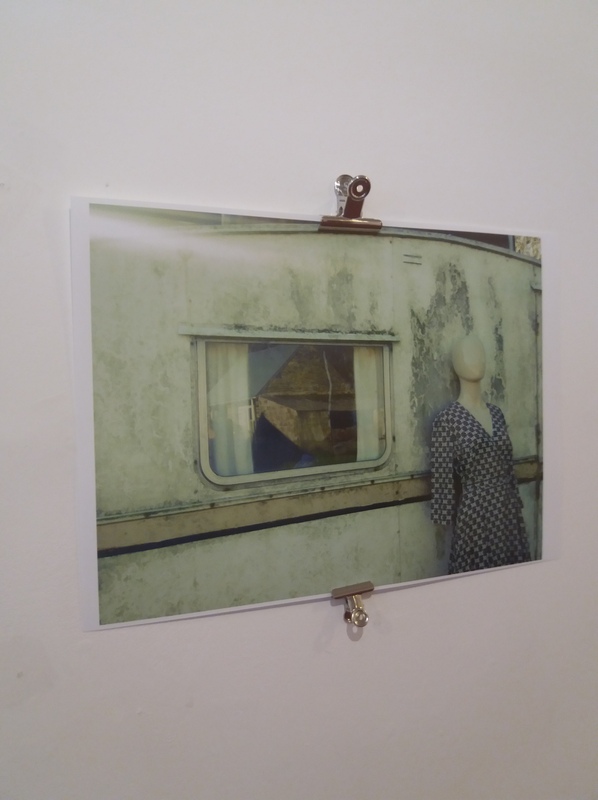 Thanks to Julie Rogers-Owen for providing the photographs used above. 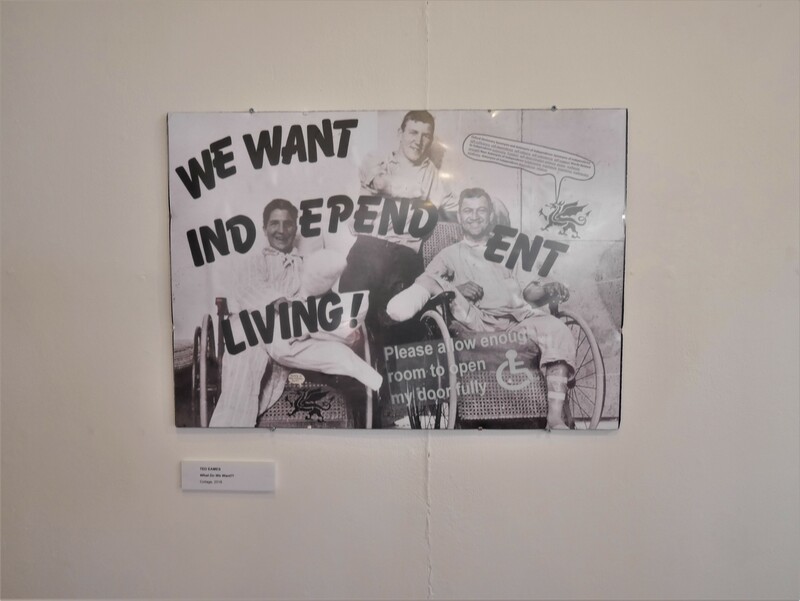 As well as the book, we are also planning an exhibition of my poetry in April in addition to the #SaveWILG exhibition – a collection of visual art, poetry and photographs produced by a number of artists across the UK, focusing on independent living as a whole. 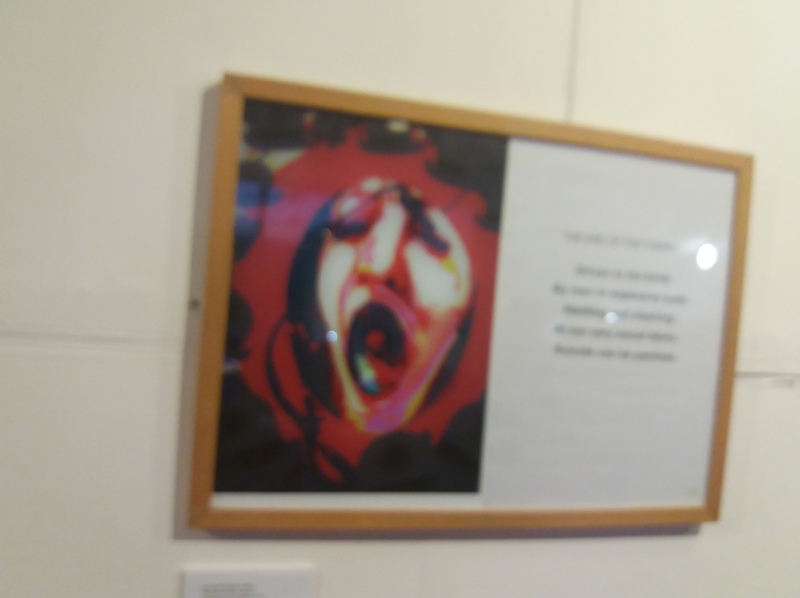 The exhibition will open on January 24th at 3pm in the Education Gallery at Theatr Clwyd in Mold, north Wales. It will continue until February 12th. 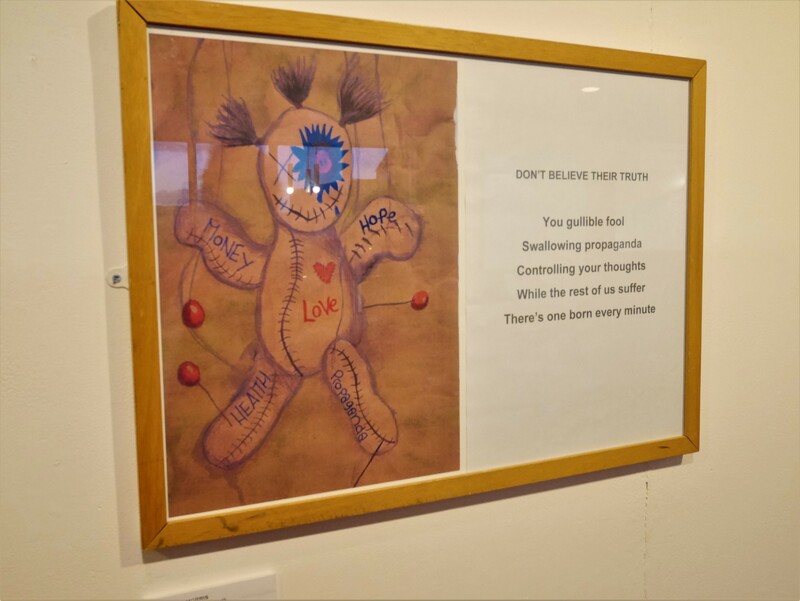 Please come to show your support for this campaign and enjoy the powerful and emotive art created by people with passion and determination that are united in the belief that disabled lives matter. Everyone is welcome to the official media launch of the event on February 2nd at 3pm at Theatr Clwyd. This is my 150th poem of 2017 and I have now put together a collection of poems to reflect the struggles of disabled people in 21st century Britain. I will publish these poems in a book to be released in 2018, utilising the team of illustrators I have assembled to help me add images to my words and create the type of book that I envisage. 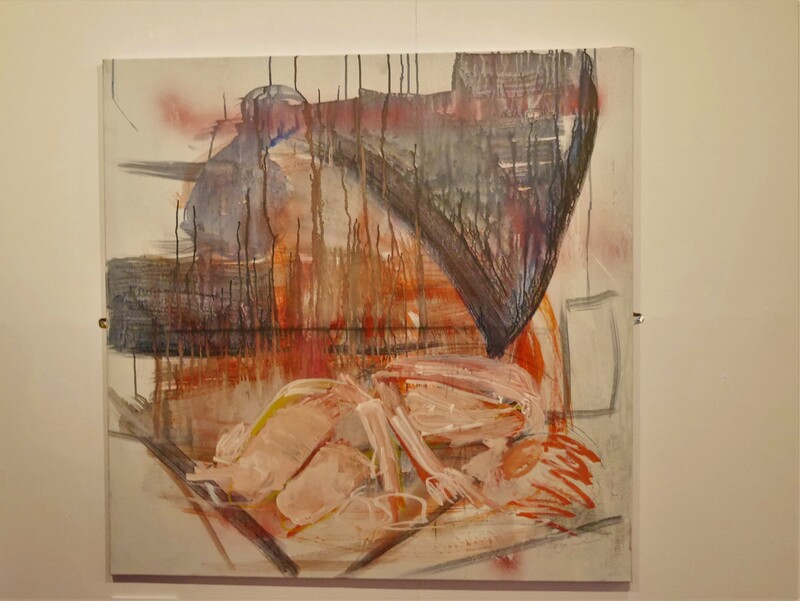 I am speaking with students from Glyndwr University who are collaborating with me on this exciting project. Two of the talented artists who have agreed to illustrate my work are Julie Rogers-Owen and Heather Wilson. This is my 149th poem of 2017 and I am well on my way to putting together a collection of poems to reflect the struggles of disabled people in 21st century Britain. 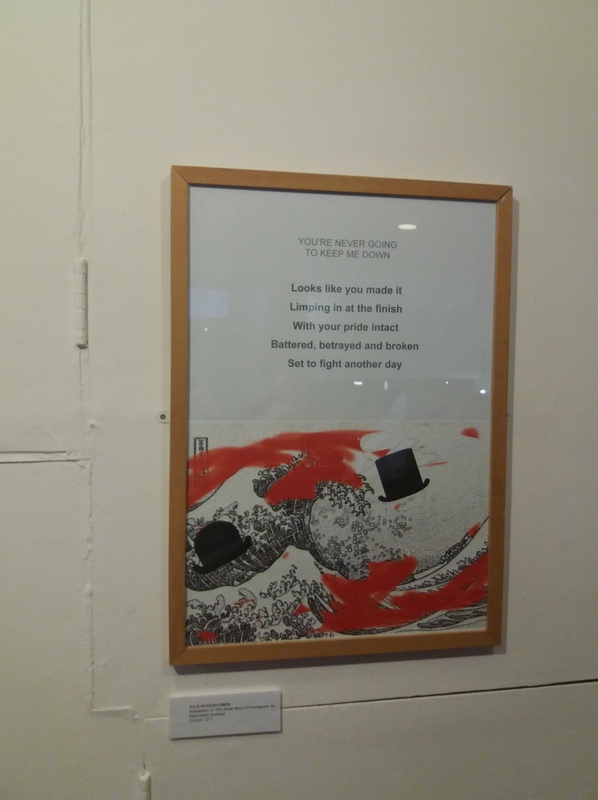 I would like to publish these poems in a book to be released in 2018, and I am close to finding a team of illustrators to help me add images to my words and create the type of book that I envisage. 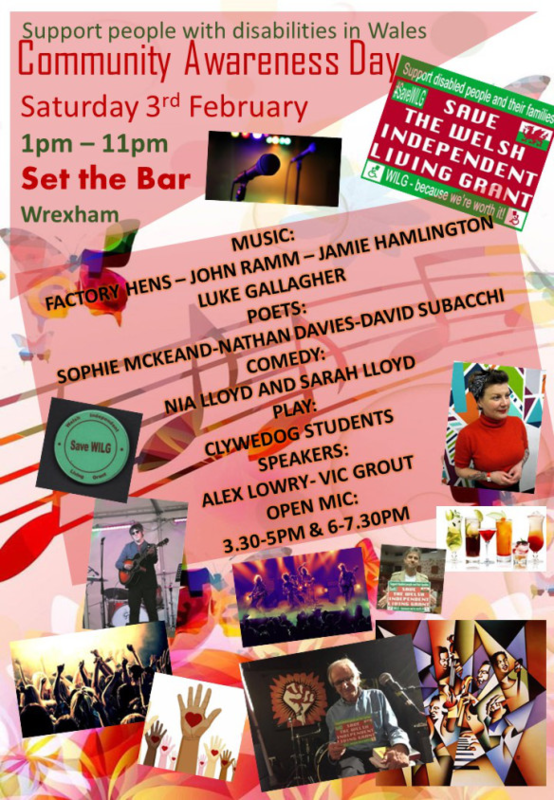 I am speaking with students from Glyndwr University who are collaborating with me on this exciting project. Two of the talented artists who have agreed to illustrate my work are Julie Rogers-Owen and Heather Wilson. 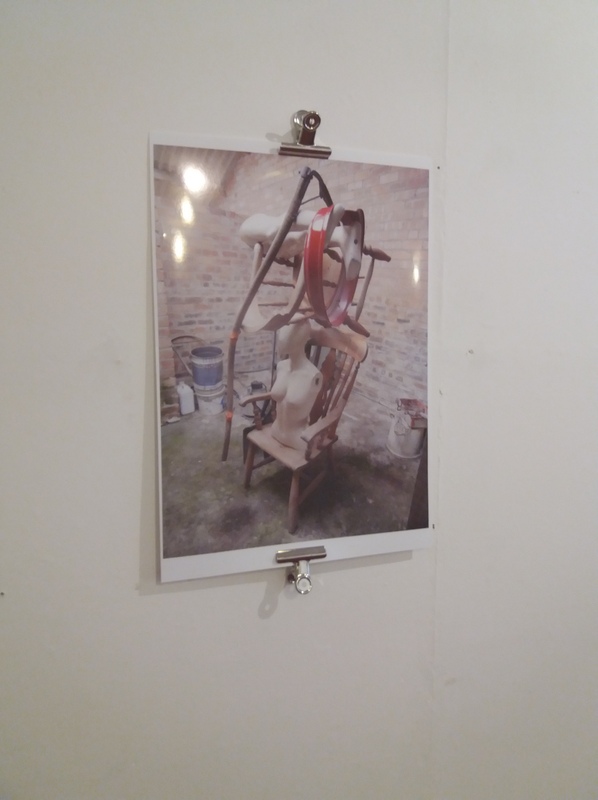 As well as the book, we are also planning an exhibition of my poetry in April in addition to the #SaveWILG exhibition – a collection of visual art, poetry and photographs produced by a number of artists across the UK, focusing on independent living as a whole. 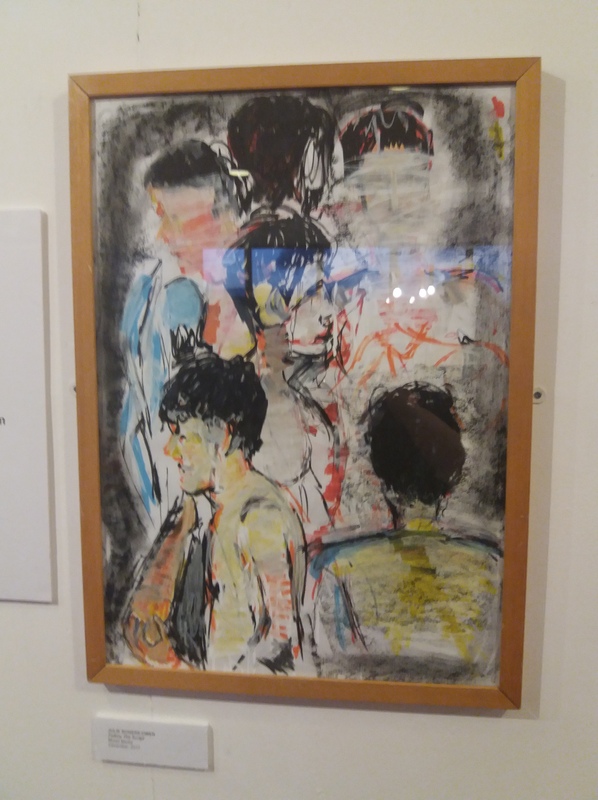 The exhibition will open on January 17th at 3pm in the Education Gallery at Theatr Clwyd. It will continue until January 29th. 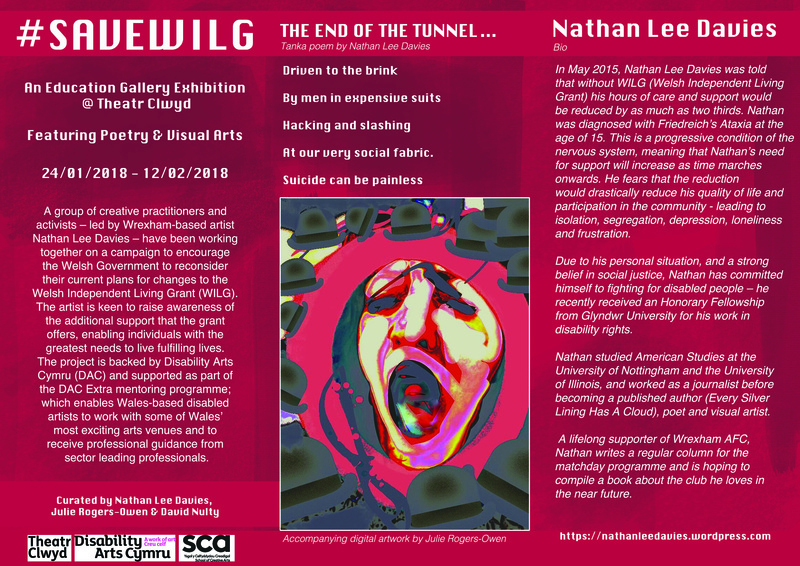 Please come to show your support for this campaign and enjoy the powerful and emotive art created by people with passion and determination that are united in the belief that disabled lives matter.